In 2015 we both turned 50. We have no children or pets. We had an amazing trip from London to Australia and after more than 2 years in Melbourne we have decided we want to move on again and this time forge a permanent change of lifestyle. Paul is 6’6″, built like the proverbial and very hairy. As such he has often attracted the nickname Chewbacca it just seemed right. We are by trade a carpenter and a lawyer respectively but both of becoming either too old or too jaded to carry on in those professions (or both!). We met in 2008 and spent much of that time cramming in as many gigs and festivals as was humanly possible. On holiday in Barcelona the seed was planted for our first trip and we set off in August 2012 for 9 months. After that life changing journey from London to Melbourne (and a couple of years getting battered, metaphorically speaking, in Australia) and much soul-searching (and a massive disappointment regarding a job in Uganda) we have decided it’s about time we started to change track. With the time we have left on this planet while we are relatively fit and healthy, we want to see more of the world and live life to the full. We want to spend time living in places we like, earn a modest living doing something vaguely worthwhile, and have time and a little money to do some of the things we enjoy most (like, for example, diving and more travelling). We enjoy mooching around, having the odd beer, trying the local food but nothing too unappetizing like yak’s milk (seriously, what’s the point?). We are smokers by nature but for health and financial reasons we have managed to (mainly) switch to e-cigarettes since February 2015 – not mean feat for a couple of hardened smokers. 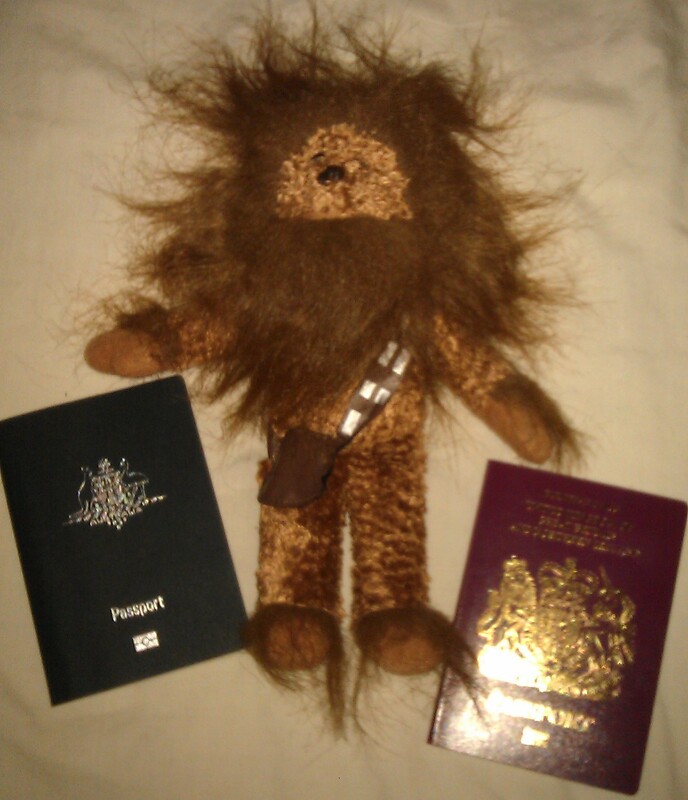 The Wooky is passionate about world politics and likes nothing more than a good healthy debate. Music is his other great passion. 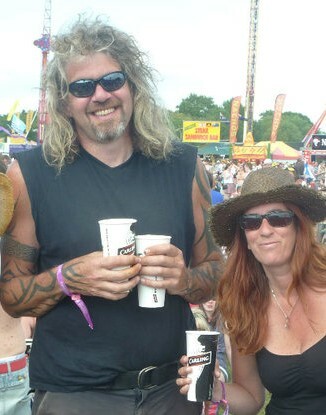 Back home in London in the summer months he could either be found at a music festival or tending his allotment. Dawn’s great love is reading and she realised a passion for writing recording our journey in our previous blog. The main blogging purpose is to keep a personal account and provide friends and family with updates. It remains to be seen whether it will develop into anything more than that. Photography is something Dawn also enjoys but she is pretty rubbish at it. We both love languages and learned some Russian and Chinese before our last trip. Currently we are learning Indonesian. History (both ancient and modern) fascinates us both, and we love traipsing around old buildings (iconic and mundane) learning something of the culture and traditions of the people whose country we are visiting. Pretty much nothing beats lazing around on a tropical beach and watching the sunrise or the sunset depending which way our room is facing. We also have a newly acquired obsession with the underwater world so diving and snorkeling are high on our list of activities. It’s up there with sitting in bars and watching the world go by. We enjoy exploring the outdoors and spotting wildlife on land, and we intend to put our newly healthy smoke-free lungs to good use by doing a bit of hiking and maybe take on a couple of challenging treks. We travel slowly and spend at least some time not doing very much at all. Often that’s when it all happens. Our next trip is more about changing our life and moving away from the west. It’s still in the planning stages but we hope to start our next trip with (hopefully) 3 months in Sulawesi and east Indonesia, fly to Singapore and travel by train to Bangkok and eventually head back to the UK to tie up some loose ends. In order to aid our escape we plan to enrol on a Celta course in Chiang Mai and develop skills which will help sustain us, enable us to travel, move around and maybe contribute something along the way. Enjoy our stories from last time and how we got here, and follow us on our new journey.